Prince in his iconic Purple Rain get up, hair and 'tude, completely glittered out and ready to entertain the masses. We love you Prince! Prince Funko Pop #79 figure and original box included. Ready to ship within 1 business day of purchase. Local pick up also available. 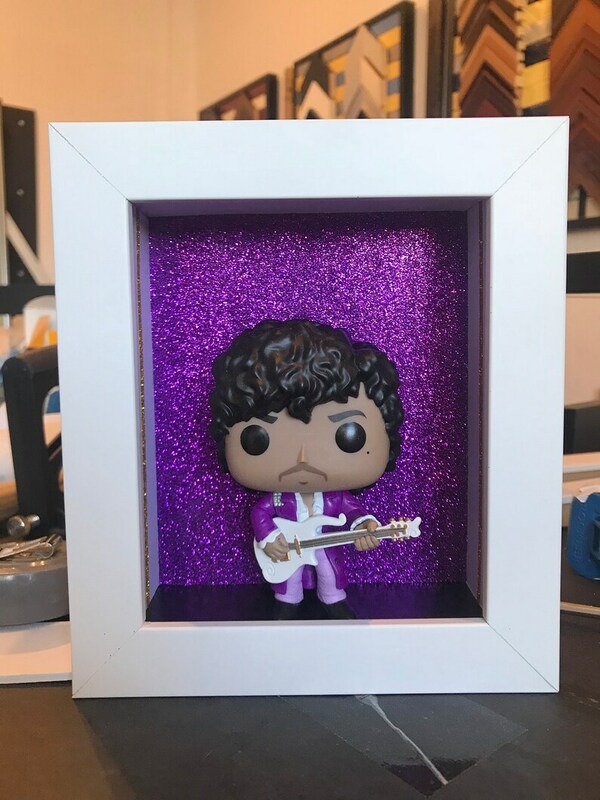 Have a special Funko or frame design request? Send us an email and we are happy to help to assist.